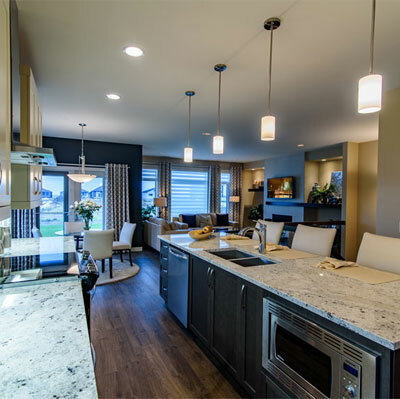 Visit any of our Show Homes throughout Winnipeg to experience a Broadview Home in person! When you select your home plan we work with you to tailor the interior and exterior finishing's to meet your needs and budget. Broadview Homes provides great options for people and families to move into a brand new home at an affordable price while maintaining great quality. Open concept floor plans ranging from 1,200- 2,065 SQ FT. Our homes are designed with real life in mind making sure your home not only looks good but is very functional and efficient as well. Large gourmet kitchens with many different layouts to choose from! Oversized islands, large pantries, and lots of counter space are staples to Sterling Kitchens. These homes provide an impressive look, large floor plans, and very high quality materials and finishing's throughout. 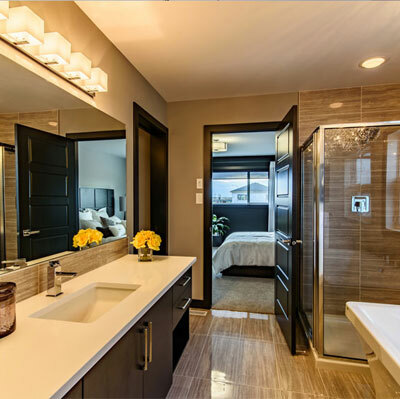 Our master bedrooms all feature highly desired private ensuites and large WIC's. Flat painted ceilings, built-in fire-places, and deluxe ensuites are included in many of our plans. 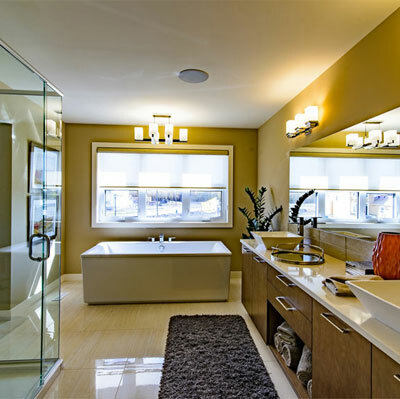 Our homes provide a higher end feel for those looking for more space and modern designs. 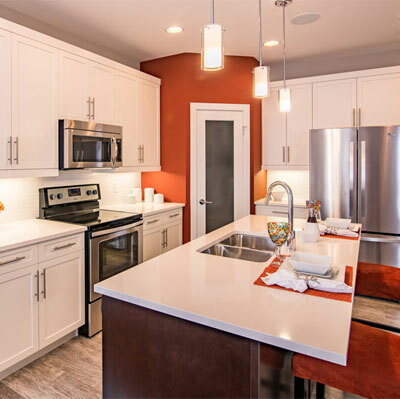 Broadview Homes offers a wide variety of modern floor plans and design elements providing customers with many options to fit their needs and lifestyle. Choosing a Broadview Home is a great fit for homebuyers who are looking for affordability without any sacrifice to quality. Offering over 30 new home plans to select from ensuring we have many great options for every customer. Two-Storey, bungalow, and side by side homes available! Your Family is In Good Hands with Broadview Homes. As an upscale home builder, we offer many exclusive plans in the Sterling portfolio, providing a wide selection of designs to meet the needs of today's families. Our Sterling bungalows start at 1,550 square feet with two-storey plans up to 2,431 square feet, offering a wide range of choice and flexibility. Modern interior and exterior features and enhancements truly show case the attention to detail and high level of design that is provided on every home plan. Sterling home plans focus on providing upscale family living, with large footprints on larger lots at an affordable price.